Yoga class because It has a lot more to offer than your regular string yoga mat bag. your small carry-on items and outer pockets for when your picking things up on the fly. place for a hassle-free life. mandala print for your daily inspiration. Spoil yourself or your loved ones with something nice, Happiness is Guaranteed! SUPERIOR QUALITY MAT BAG: This sturdy yoga mat bag made of 100% polyester which is very easy to clean, waterproof and also you will feel it is very lightweight. WE ADDED A GIFT FOR YOU- an extra matching beautiful drawstring reusable bag, in case you finished your class sweaty, for your yoga outfit, towel or for other uses. 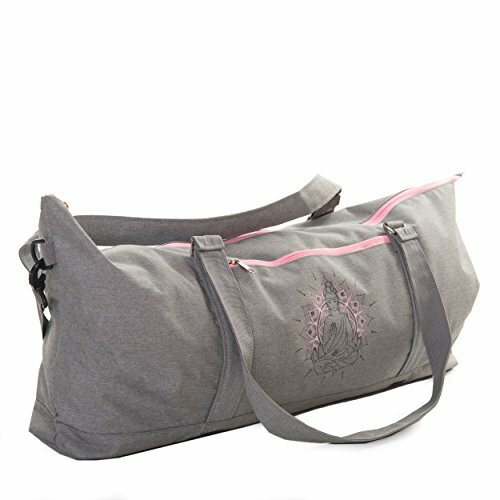 MANY COMPARTMENTS- Our large yoga mat bag comes with inner accessible pockets and 2 outer zipper pockets. You can put your mobile, money, keys and cards easily in these pockets without the fear of losing them. VERSATILE STRAPS: this unique bag allows you to not just use it as a tote bag, or as a backpack ,but you can use it as a duffel bag or just sling it over your shoulder. whatever you feel is right for you at the moment. If you have any questions about this product by JamPa, contact us by completing and submitting the form below. If you are looking for a specif part number, please include it with your message.